Aristippus of Cyrene (c. 435-356 BCE) was a hedonistic Greek philosopher who taught that the meaning of life was pleasure and that the pursuit of pleasure, therefore, was the most noble path one could pursue. Along with Plato, Xenophon, Antisthenes, and others, he was one of the followers of Socrates. He was also the first of Socrates' students to charge a fee for teaching philosophy and, partly for this reason, he was held in contempt by Plato and Xenophon, both of whom criticize Aristippus in their works relating to Socrates. It is hard to understand, at first, how Aristippus could have been a student of Socrates because their philosophies and lifestyles seem diametrically opposed; however, Aristippus’ "motto", “I possess, I am not possessed”, is quite in line with Socrates’ own view of life as presented by Plato and Xenophon, the two main sources for information on Socrates' life and philosophy. I. ARISTIPPUS was by birth a Cyrenean. but he came to Athens, as Aeschines says, having been attracted thither by the fame of Socrates. II. He having professed himself a Sophist, as Phanias, of Eresus, the Peripatetic, informs us, was the first of the pupils of Socrates who exacted money from his pupils, and who sent money to his master. And once he sent him twenty drachmas, but had them sent back again, as Socrates said that his daemon would not allow him to accept them; for, in fact, he was indignant at having them offered to him. And Xenophon used to hate him; on which account he wrote his book against pleasure as an attack upon Aristippus, and assigned the main argument to Socrates. Theodorus also, in his Treatise on Sects, has attacked him severely, and so has Plato in his book on the Soul, as we have mentioned in another place. Who, as he said, by touch could judge of falsehood. They say that he once ordered a partridge to be bought for him at the price of fifty drachmas; and when some one blamed him, "And would not you," said he, "have bought it if it had cost an obol?" And when he said he would, "Well," replied Aristippus, "fifty drachmas are no more to me." Dionysius once bade him select which he pleased of three beautiful courtesans; and he carried off all three, saying that even Paris did not get any good by preferring one beauty to the rest. However, they say, that when he had carried them as far as the vestibule, he dismissed them; so easily inclined was he to select or to disregard things. On which account Strato, or, as others will have it, Plato, said to him, "You are the only man to whom it is given to wear both a whole cloak and rags." Once when Dionysius spit at him, he put up with it; and when some one found fault with him, he said, "Men endure being wetted by the sea in order to catch a tench, and shall not I endure to be sprinkled with wine to catch a sturgeon?" IV. Once Diogenes, who was washing vegetables, ridiculed him as he passed by, and said, "If you had learnt to eat these vegetables, you would not have been a slave in the palace of a tyrant." But Aristippus replied, "And you, if you had known how to behave among men, would not have been washing vegetables." Being asked once what advantage he had derived from philosophy, he said, "The power of associating confidently with every body." When he was reproached for living extravagantly, he replied, "If extravagance had been a fault, it would not have had a place in the festivals of the Gods." At another time he was asked what advantage philosophers had over other men; and he replied, "If all the laws should be abrogated, we should still live in the same manner as we do now." Once when Dionysius asked him why the philosophers haunt the doors of the rich, but the rich do not frequent those of the philosophers, he said, "Because the first know what they want, but the second do not." On one occasion he was reproached by Plato for living in an expensive way; and he replied, "Does not Dionysius seem to you to be a good man?" And as he said that he did; "And yet," said he, "he lives in a more expensive manner than I do, so that there is no impossibility in a person's living both expensively and well at the same time." He was asked once in what educated men are superior to uneducated men; and answered, "Just as broken horses are superior to those that are unbroken." On another occasion he was going into the house of a courtesan, and when one of the young men who were with him blushed, he said, "It is not the going into such a house that is bad, but the not being able to go out." Once a man proposed a riddle to him, and said, "Solve it." "Why, you silly fellow," said Aristippus, "do you wish me to loose what gives us trouble, even while it is in bonds?" A saying of his was, "that it was better to be a beggar than an ignorant person; for that a beggar only wants money, but an ignorant person wants humanity." Once when he was abused, he was going away, and as his adversary pursued him and said, "Why are you going away?" "Because," said he, "you have a license for speaking ill; but I have another for declining to hear ill." When some one said that he always saw the philosophers at the doors of the rich men he said, "And the physicians also are always seen at the doors of their patients; but still no one would choose for this reason to be an invalid rather than a physician." Once it happened, that when he was sailing to Corinth, he was overtaken by a violent storm; and when somebody said, "We common individuals are not afraid, but you philosophers are behaving like cowards;" he said, "Very likely, for we have not both of us the same kind of souls at stake." Seeing a man who prided himself on the variety of his learning and accomplishments, he said, "Those who eat most, and who take the most exercise, are not in better health than they who eat just as much as is good for them; and in the same way it is not those who know a great many things, but they who know what is useful who are valuable men." An orator had pleaded a cause for him and gained it, and asked him afterwards, "Now, what good did you ever get from Socrates?" "This good," said he, "that all that you have said in my behalf is true." He gave admirable advice to his daughter Arete, teaching her to despise superfluity. And being asked by some one in what respect his son would be better if he received a careful education, he replied, "If he gets no other good, at all events, when he is at the theatre, he will not be one stone sitting upon another." Once when some one brought his son to introduce to him, he demanded five hundred drachmas; and when the father said, "Why, for such a price as that I can buy a slave." "Buy him then," he replied, "and you will have a pair." It was a saying of his that he took money from his acquaintances not in order to use it himself, but to make them aware in what they ought to spend their money. On one occasion, being reproached for having employed a hired advocate in a cause that he had depending: "Why not," said he; "when I have a dinner, I hire a cook." Once he was compelled by Dionysius to repeat some philosophical sentiment; " It is an absurdity," said he, "for you to learn of me how to speak, and yet to teach me when I ought to speak:" and as Dionysius was offended at this, he placed him at the lowest end of the table; on which Aristippus said, "You wish to make this place more respectable." A man was one day boasting of his skill as a diver; "Are you not ashamed," said Aristippus, "to pride yourself on your performance of the duty of a dolphin?" On one occasion he was asked in what respect a wise man is superior to one who is not wise; and his answer was, "Send them both naked among strangers, and you will find out." A man was boasting of being able to drink a great deal without being drunk; and he said, "A mule can do the very same thing." When a man reproached him for living with a mistress, he said, "Does it make any difference whether one takes a house in which many others have lived before one, or one where no one has ever lived?" and his reprover said, "No." "Well, does it make any difference whether one sails in a ship in which ten thousand people have sailed before one, or whether one sails in one in which no one has ever embarked?" "By no means," said the other. "Just in the same way," said he, "it makes no difference whether one lives with a woman with whom numbers have lived, or with one with whom no one has lived." When a person once blamed him for taking money from his pupils, after having been himself a pupil of Socrates: "To be sure I do," he replied, "for Socrates too, when some friends sent their corn and wine, accepted a little, and sent the rest back; for he had the chief men of the Athenians for his purveyors. But I have only Eutychides, whom I have bought with money." And he used to live with Lais the courtesan, as Sotion tells us in the Second Book of his Successions. Accordingly, when some one reproached him on her account, he made answer, "I possess her, but I am not possessed by her; since the best thing is to possess pleasures without being their slave, not to be devoid of pleasures." When some one blamed him for the expense he was at about his food, he said, "Would you not have bought those things yourself if they bad cost three obols?" And when the other admitted that he would, "Then," said he, "it is not that I am fond of pleasure, but that you are fond of money." On one occasion, when Simus, the steward of Dionysius, was showing him a magnificent house, paved with marble (but Simus was a Phrygian, and a great toper), he hawked up a quantity of saliva and spit in his face; and when Simus was indignant at this, he said, "I could not find a more suitable place to spit in." Was born a man, and of a manly race." He was once asking a favour of Dionysius for a friend, and when he could not prevail, he fell at his feet; and when some one reproached him for such conduct, he said, "It is not I who am to blame, but Dionysius who has his ears in his feet." When he was staying in Asia, and was taken prisoner by Artaphernes the Satrap, some one said to him, "Are you still cheerful and sanguine?" "When, you silly fellow," he replied, "can I have more reason to be cheerful than now when I am on the point of conversing with Artaphernes?" It used to be a saying of his, that those who had enjoyed the encyclic course of education, but who had omitted philosophy, were like the suitors of Penelope; for that they gained over Melantho and Polydora and the other maid-servants, and found it easier to do that than to marry the mistress. And Ariston said in like manner, that Ulysses, when he had gone to the shades below, saw and conversed with nearly all the dead in those regions, but could not get a sight of the Queen herself. On another occasion, Aristippus being asked what were the most necessary things for well-born boys to learn, said, "Those things which they will put in practice when they become men." And when some one reproached him for having come from Socrates to Dionysius, his reply was, "I went to Socrates because I wanted instruction (paideias), and I have come to Dionysius because I want diversion (paidias). As he had made money by having pupils, Socrates once said to him, "Where did you get so much?" and he answered, "Where you got a little." When his mistress said to him, "I am in the family way by you," he said, "You can no more tell that, than you could tell, after you had gone through a thicket, which thorn had scratched you." And when some one blamed him for repudiating his son, as if he were not really his, he said, "I know that phlegm, and I know that lice, proceed from us, but still we cast them away as useless." Becomes his slave, though free when first he came"
"That man is but a slave who comes as free." 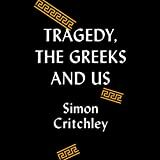 This story is told by Diocles, in his book on the Lives of the Philosophers; but others attribute the rejoinder to Plato. He once quarrelled with Aeschines, and presently afterwards said to him, "Shall we not make it up of our own accord, and cease this folly; but will you wait till some blockhead reconciles us over our cups?" "With all my heart," said Aeschines. "Recollect, then," said Aristippus, "that I, who am older than you, have made the first advances." And Aschines answered, "You say well, by Juno, since you are far better than I; for I began the quarrel, but you begin the friendship." And these are the anecdotes which are told of him. V. Now there were four people of the name of Aristippus; one, the man of whom we are now speaking; the second, the man who wrote the history of Arcadia ; the third was one who, because he had been brought up by his mother, had the name of mêtrodidantos given to him; and he was the grandson of the former, being his daughter's son; the fourth was a philosopher of the New Academy. VI. There are three books extant, written by the Cyrenaic philosopher, which are, a history of Africa, and which were sent by him to Dionysius; and there is another book containing twenty-five dialogues, some written in the Attic, and some in the Doric dialect. And these are the titles of the Dialogues-- Artabazus; to the Shipwrecked Sailors; to the Exiles; to a Beggar; to Lais; to Porus; to Lais about her Looking-glass; Mercury; the Dream; to the President of the Feast; Philomelus; to his Domestics; to those who reproached him for possessing old wine and mistresses; to those who reproached him for spending much money on his eating; a Letter to Arete his daughter; a letter to a man who was training himself for the Olympic games; a book of Questions; another book of Questions; a Dissertation addressed to Dionysius; an Essay on a Statue; an Essay on the daughter of Dionysius; a book addressed to one who thought himself neglected; another to one who attempted to give him advice. Some say, also, that he wrote six books of dissertations; but others, the chief of whom is Sosicrates of Rhodes, affirm that he never wrote a single thing. According to the assertions of Sotion in his second book; and of Panoetius, on the contrary, he composed the following books,- one concerning Education; one concerning Virtue; one called An Exhortation; Artabazus; the Shipwrecked Men; the Exiles; six books of Dissertations; three books of Apophthegms; an essay addressed to Lais; one to Porus; one to Socrates; one on Fortune. And he used to define the chief good as a gentle motion tending to sensation. One day, when he had received some money from Dionysius, and Plato had received a book, he said to a man who jeered him, "The fact is, money is what I want, and books what Plato wants." When Polyxenus, the Sophist, came to his house and beheld his women and the costly preparation that was made for dinner, and then blamed him for all this luxury, Aristippus after a while said, "Can you stay with me to day?" and when Polyxenus consented, "Why then," said he, "did you blame me? it seems that you blame not the luxury, but the expense of it." When his servant was once carrying some money along the road, and was oppressed by the weight of it (as Bion relates in his Dissertations), he said to him, "Drop what is beyond your strength, and only carry what you can." On another occasion, he was asked how Socrates died; and he made answer, "As I should wish to die myself." Baird, F.E. Philosophic Classics, Volume I Ancient Philosophy Paperback. (Pearson, 2010). Xenophon. Xenophon's Works. (Harvard University Press, 1923). Mark, Joshua J. "The Life of Aristippus in Diogenes Laertius." Ancient History Encyclopedia. Last modified August 26, 2014. https://www.ancient.eu/article/738/. Mark, Joshua J. "The Life of Aristippus in Diogenes Laertius." Ancient History Encyclopedia. Ancient History Encyclopedia, 26 Aug 2014. Web. 25 Apr 2019. Submitted by Joshua J. Mark, published on 26 August 2014 under the following license: Creative Commons: Attribution-NonCommercial-ShareAlike. This license lets others remix, tweak, and build upon this content non-commercially, as long as they credit the author and license their new creations under the identical terms. Please note that content linked from this page may have different licensing terms.